"The hotel provides two bottles of drinking water each day wh..."
Have a question for Ricci House Resort? "The room is clean and spacious." "The best thing is the staff - very friendly, good command of..."
Ricci House Resort is a comfy oasis set on the beach, where guests can enjoy the warm atmosphere, an outstanding view, and lush greenery for perfect, unparalleled relaxation. The resort features 19 simple, but clean and well kept, bungalows set amongst tended and colorful tropical gardens. With Sunrise Beach just a short stroll away, guests can spend the days lounging on the golden sandy beach, sipping cocktails, taking in a game of beach soccer, or trying out the wide selection of water sports on offer. Also in close proximity, guests will find the renowned walking street filled with a wide selection of restaurants, markets, and nightlife. The Ricci House Resort is a definite choice for those who want both the serenity of a beachside resort and the convenience of a city life. There is an additional breakfast charge for children. The property provides transfer service to the port at no additional charge on the check in and check out date only. Kindly contact the property for more details. It is just a very short walk to the Walking Street where all the activities can be found: massage, food BBQ, and shopping. Very good service offered be the most friendly and well mannered staff. They are always soft spoken and cheerful. However, the internet is very slow. The place is just at walking distance from the beach, all the eating places and shopping and massage. it is so central with activities that makes you in the holiday mood. With all these things happening around, it is yet quiet and serene. The staff are extremely friendly and courteous. Nevertheless, the internet is slow and there should be some better English TV shows. My wife and I stayed at Ricci House for eight nights, out of a total of twelve on Koh Lipe, and we really enjoyed our time there. The location is fantastic; close to restaurants, beaches and shops. Koh Lipe is such a small island that everything is only a few minutes walk away and The Ricci House puts you right in the middle of everything. 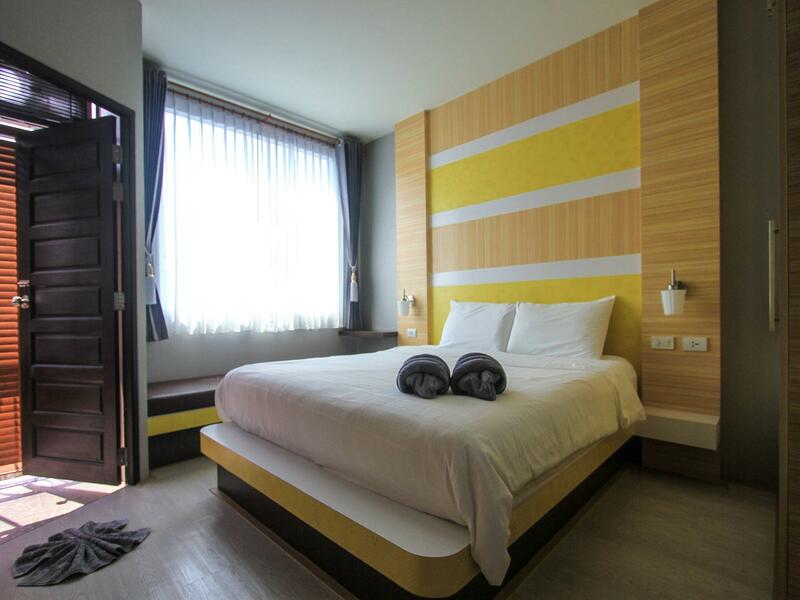 The hotel staff members are great, service is friendly and the price is very reasonable. Noy’s restaurant across from the Ricci House was our favorite. The Indian restaurant two doors down from Noy’s was also great. 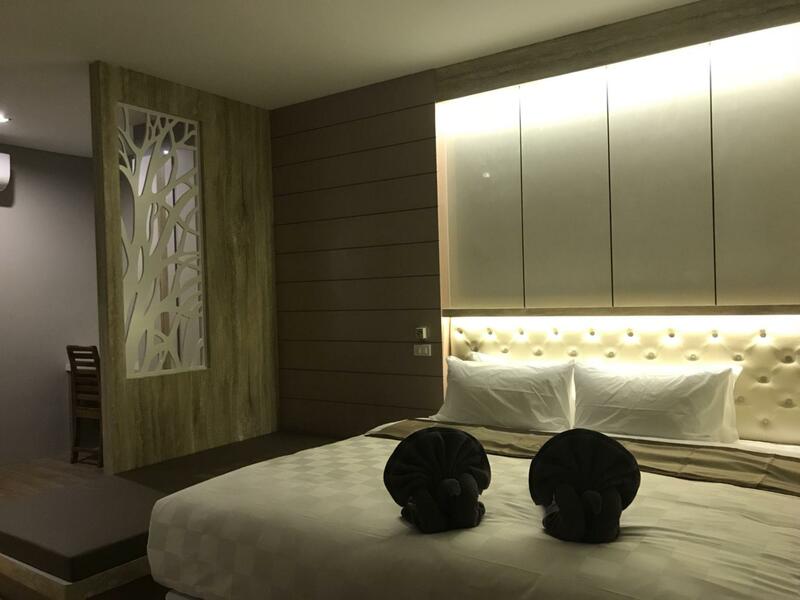 Koh Lipe is definitely worth the effort it takes to get there and The Ricci House is a great place to stay while you are there! Overall it was a nice 7-night stay in ricci house for me. Staffs are welcoming and warm. 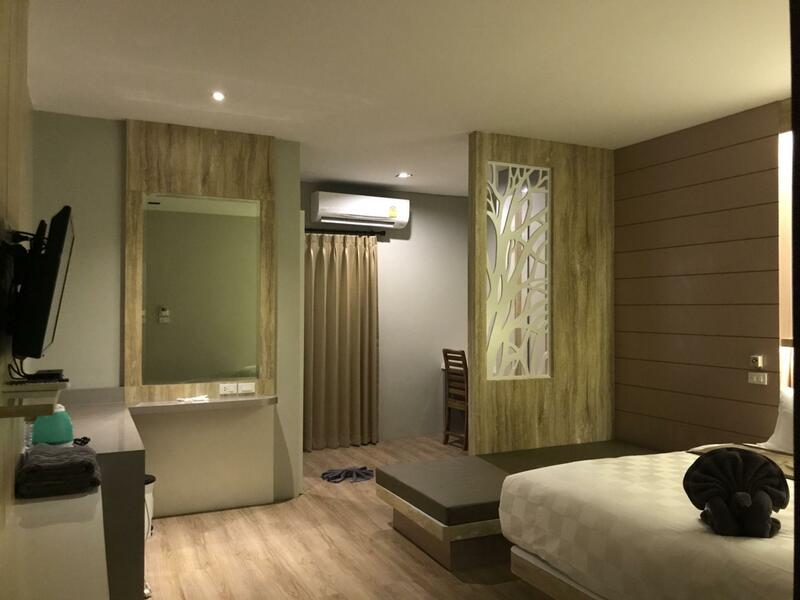 Room is clean and well equipped which make living comfortable and convenient. House cleaning is on time. Breakfast is lush and fresh. Location is convenient and quiet at night (except that on windy night there’s some unknown continuous bumping sound outside which sounds like sth hitting on some metal thing ). Just my superior double-bed room is quite small. Enough for one person, but would be crowded for two more. Considering this, the price is kind of high during high season. But maybe back to normal during low season. Anyway still recommend this place because it’s really comfortable to live in. The staffs are really helpful on anything we had problem with and they provided me with suggestion as well. I didnt knew that they actually provide pick up from the custom to the hotel. And they also send us back to the custom for when we checked out the hotel. 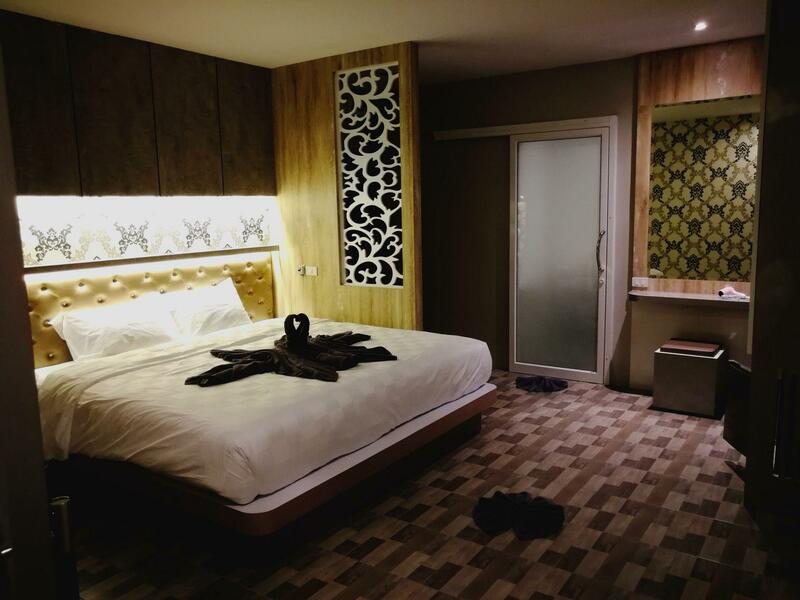 Overall, my stay is really good and comfortable. Everything in the room is really clean as well. Enjoyed my stay with Ricci House. Most friendly Staff ever! Very clean. Quiet at Night next to walking street.Sometimes a Moskitonet would be fine. 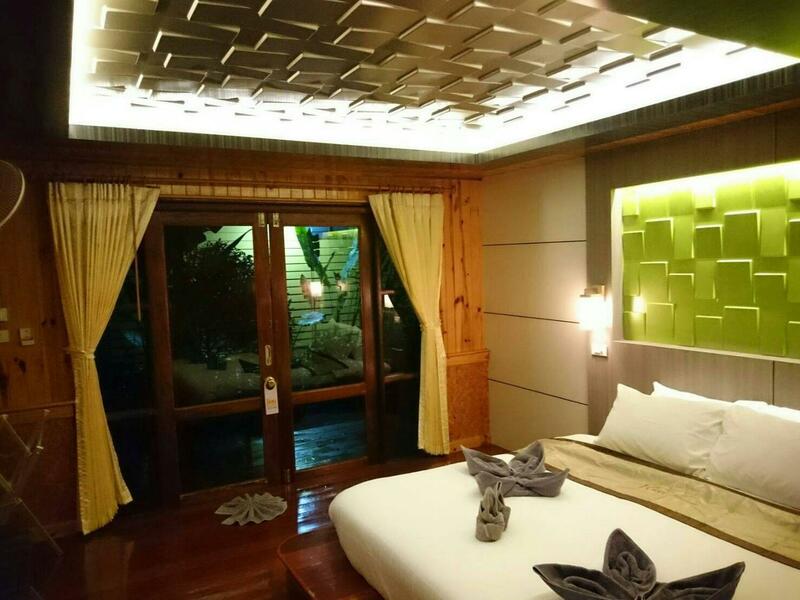 The Ricci House Resort was an excellent property to stay at during our stay on Koh Lipe. The staff, especially 'Kim' at the front desk were exceptionally friendly hosts! The rooms were clean and well maintained and we enjoyed our daily breakfast. My only complaint is that we stayed in the 'Family Room' at the front of the hotel and the Wifi was extremely poor, with low and spotty reception. Very nice stay. Good welcome and staff very very gentle. Our stay was perfect, my only concern regards the bathroom safety. The electric eater heather should be fixed above the hand shower level, the floor is very sleepery even when dry (too dangerous for the children), one extra spot light on top of the mirror would be highly appreciate from whom needs to shave. Not a hotel or resort but rather an expensive, big guesthouse spread across multiple buildings. Room without a window. There are far better options on the island to choose from. The best thing is the staff - very friendly, good command of English. Ricci is a nice hotel with good location. Only few minutes from the pier with motorcycle. They offer pick up service from the pier. Just a few steps walk to walking street. Near to everything you need. The staff were friendly and helpful. The hotel room is clean and comfort. I personally like the strong exhaust fan in the toilet which keep toilet dry all the time. The furnitures are just about right with perfect compartment and spacious considered. Overall satisfied and will stay again when I visit koh lope next time. Room was great ( garden bungalow ) clean,spacious, shower curtain, a/c, tv, balcony, lots of storage space etc.... there’s a good breakfast, (did not eat lunch etc there though) laundry on site, ride to and from the hotel when you need, also had a hose on the balcony so you could wash off all the sand before entering your room which was nice and fresh towels everyday! Location was right next door to the walking street, very close to sunrise beach and pattaua beach. We chose to visit a very small beach around the corner from pattaya as all other beaches seemed to be crowed with boats! Overall we spend a great 3 nights there and would stay again if we visit ko lipe again! Ricci house resort provided us with free taxi service both to the resort and upon checkout. Breakfast was good! Thai dishes were authentic and tasted delicious. The staff were very hospitable too. The only thing that got us slightly irritated was the noise coming from the streets (not too sure if it's a saturday night thing) and chanting at 5am from the mosque next door. Very helpful staff. Was waiting to pick us up from the speedboat, carried all our heavy luggage and had turned on the air on before we arrived at the hotel room. Good job! Nice breakfast. Nice rooms. Only negatives are small rooms and no swimming pool. Perfect location to enjoy the island, very helpful staff in particular kim. Very nice place, will come back for sure! We had the bungalow. All in all, going to Koh Lipe was a right decision. I did quite a lot of studies on Koh Lipe, found that Ricci House Resort is one of the accommodations that has good reviews. And tbh, RHR is exactly as good as the described reviews in Agoda, Booking.com, etc. I shamelessly asked for a free on-the-house honeymoon deco to surprise my husband. They didnt reply any of my inquiries, but when we(he) opened the door, we(he) found the bed was beautifully decorated 😍😋 breakfast buffet was A-okay as well. Almost the same menu each day, they only changed the two main-course. There were ham (as in 🐷) but they convinced us that the ham is cooked in different kuali & utensils. Plus, they said their meat suppliers are Halal certified as well. RHR is a perfect location. It’s located at the center of the island. It only takes roughly 10 minutes walk to each beach (Pattaya, Sunrise, Sunset). Oh yeah, there were dogs everywhere. No kidding. But they were all harmless, only lazing around the street most of the time. There was a 3-wheeled taxi from RHR waiting at the Immigration to pick us up. All in all, i give 8.5/10! This hotel exceeded my expectations especially the cleanliness. 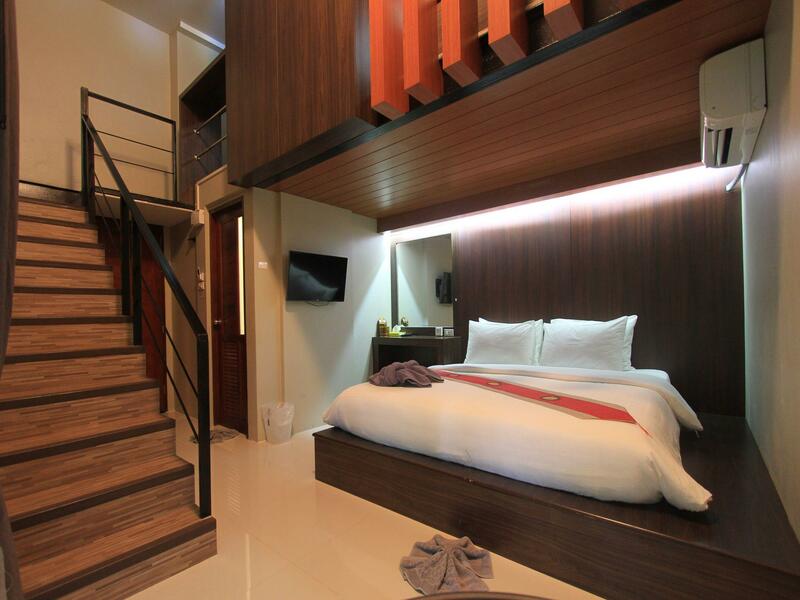 The room is compact but with all the necessary amenities. They are generous with the towels which you can easily bring along to the beach. The breakfast is also simple but really adequate as there are no real 5 star resort in the island anyway. 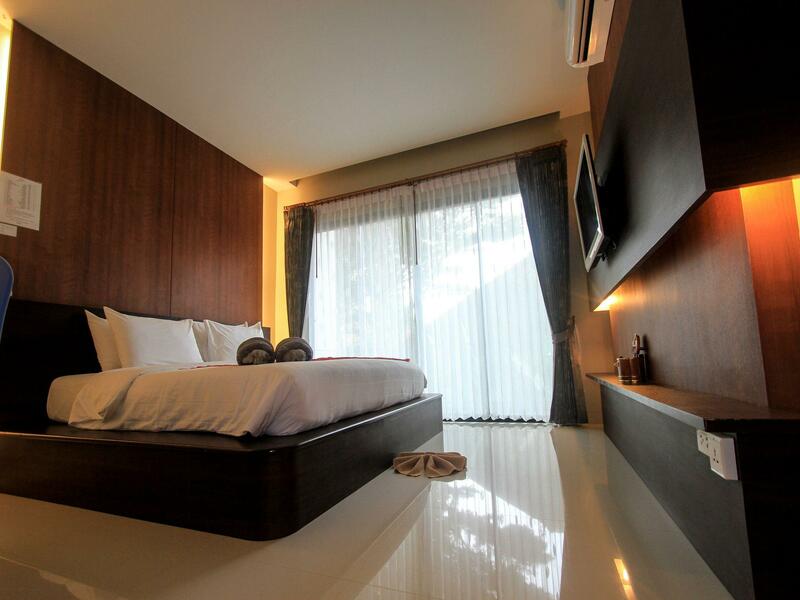 It is very well location less than 1 minute wAlk from the main walking street. You get like a single story house so it’s not like on a multi story building.